Between my time in Corporate America and running my own businesses over the past 35 years I have had the opportunity to hire many interns and have some definite thoughts on the subject. 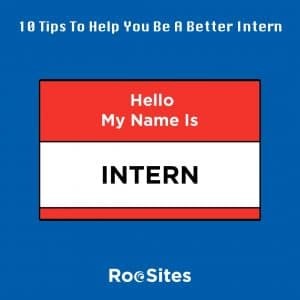 It is my hope that these tips will help you be a better intern and get hired after graduation. Make yourself available for an interview and NEVER cancel – I had an intern who cancelled on me an hour before their scheduled interview. Needless to say this person wasn’t hired! Barring an emergency, show up, be prompt and of course dress appropriately. Check Your Work & Then Check It Again – One of the worst things you can do is turn in work full of typos and misused words. I had an intern last year write a blog post with 5 typos in a single sentence!! Also, as spell check doesn’t tell you that you have used the wrong version of “there”, you need to read and re-read everything. Believe it or not I have gotten resumes with misspelled words. This doesn’t leave a good impression. Ask For More Work – Be eager, you are low person on the totem pole. People love to see interns who ask for more to do. This is a great way to get hired after graduation. Internships are many times a try out for future employment. Treat them as you would your dream job, not just a temporary position. Be on time and alert – While this seems obvious, I have had interns show up late and even have had an intern fall asleep at their desk after coming in late after a weekend! At the time, I was working for one of the most successful companies in the world and my boss called me to say he walked by this person’s desk and she was asleep. When I asked her about it, she said, “I was just resting”. Positive attitude only – No one likes working with someone that has a poor attitude. Remember, as I said above an internship is a lot like a tryout. For a company to hire you after graduation, they want to see how you interact with people and customers. So always show up with happy, positive outlook. 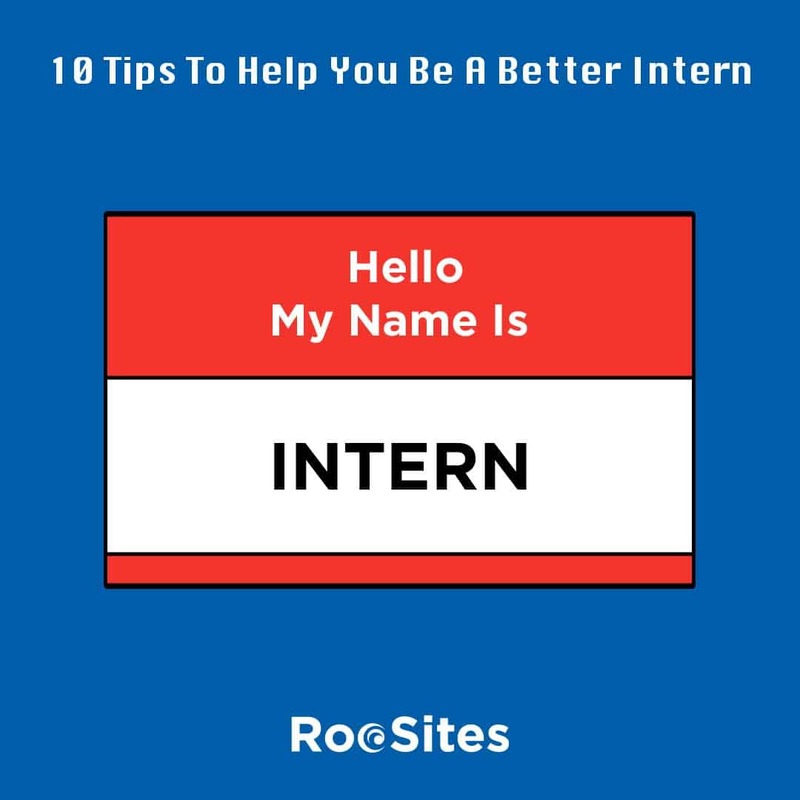 Own Up To Mistakes – You are an intern and are expected to make errors. When it happens, learn from it and move on. But always admit you made a mistake and don’t be afraid to ask for help. That is how we all learn, that is how we all get better. Ask for feedback – Always ask your boss for feedback, especially at the end of your internships. A good boss will tell you the truth, and give you things to work on which will help you future internships and then on job interviews as well. End on a strong note – My last batch of interns was a stellar group. This one particular intern did a good job for our company for most of his 6 months. But then towards the end he was already moving onto his next internship and started missing assignments. He would say I’ll get to it today. He would even tell me that he’s been busy with his next internship. This of course is nothing an employer wants to hear. Sadly he never did finish his last assignments and I had to reassign his work to other interns. The shame of it is I could’ve been a good reference. But now I couldn’t in good conscience as he finished so poorly. So always finish strong and work as hard on your last day as you did on the first day. Bottom Line: Think of your internships like the NBA combines. You are trying out and showing your skills to possible future employers. So make the most of the opportunities, your future may depend on it. 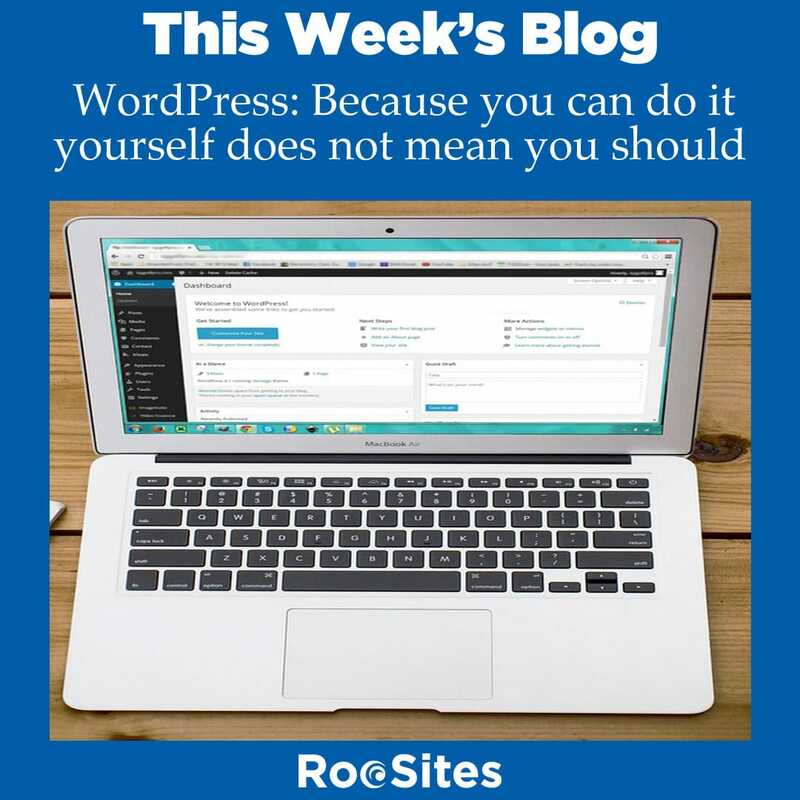 One of the main thing people want from a WordPress website is the ability to do things themselves. A noble goal, yes. But does it always make sense? No, not in practice. Keeping WordPress versions, plugins, themes up to date. Seems simple enough, many updates are as simple as a single click. Well, anyone who has made updates knows, there are times an updated plugin can totally break your website. You see, many times plugin vendors aren’t ready for a new version of WordPress, so you need to be careful. Most important, know how to revert your site back to pre-updated state. Otherwise, your site maybe down for a long period of time. Content is king, always has been always will be. Content is the main thing business owners should concentrate on. Whether it’s writing a weekly blog or putting up news, this is where you should be focused. While WordPress allows you to add your own posts, you may be better off sending them along to an experienced web developer who can not only put up the blog posts, but take advantage of some of the search engine optimization techniques to help you succeed in having better rankings. This of course is something everyone wants. Of course, for the do it yourself-ers, you can make all the small text changes, for instance a change to an employee bio or an update to your about or services page. This of course is related to number 1, but much more than that. you have to be up on the latest vulnerabilities and tweak your settings to stay safe. You also need to be taking regular backups and have the ability to restore your site should trouble come your way. This is one of the most important things facing website owners in 2018. You hear every day about hackers and information being stolen, etc. You need to be able to respond quickly when your site gets hacked. The best thing you can do is to have a plan on how you can get your site back up and running if and when it is hacked. For this reason, managing your own website security is a risk you can’t afford to take. In Closing: WordPress is the most user-friendly content management system on the planet. That is why over a third of new websites use the platform. You should use this for your business, as it fulfills the needs of most companies. But, other than doing some simple tasks, blogging & perhaps a text edit here and there you should leave the management in the hands of a professional website management company. And be sure to use a company that specializes in WordPress sites. As the software has its own share of issues and ways of doing things, you need to see it on a daily basis in order to keep up with all the changes coming your way.